Below is the latest of an occasional series of essays by Anestos Canelides. The current piece concerns the barbaric Turkish institution of devshirme, which was practiced for centuries by the Ottomans against the conquered people of the Balkans. We as a people, whether in Greece or the USA, should not forget our history, especially when it comes to Islam. About year ago, in the name of political correctness Greek textbooks referred to the Ottoman occupation of the Greeks as the “Ottoman administration”. The reference was quickly retracted after a loud uproar from many Greeks, because the Ottoman interlude was much more than an administration, and the occupation brought upon the Christian Greeks centuries of cruel oppression. One institution of such oppression practiced by the Turks was called Devshirme, or the practice of recruiting the best and brightest children, usually males, from Christian families, and forcing them to convert to Islam. These children were trained in the Sultan’s civil service, or they become part of an elite fighting force known as the Janissaries. From very inception of this institution the Christian population grievously resented the abduction of their children. It is easy to understand the traumatic tone in surviving Greek literature from that period. For the parents this was a heartbreaking loss, and the complete transformation of their children, who were forced to turn away from their Christian faith, was devastating. The Tubingen manuscript written by Andre Argyros and John Tholoites in the 16th century vividly reveals the trauma that the parents went through. The sad fact is that while many Janissaries were Greek, their conversion and adherence to Islam forever severed them from any Hellenic consciousness or connection with Greek society. 5 The Christian population throughout the Balkans, resented the recruitment of the children and it was often carried out by force. Those who would not submit and surrender the most healthiest, the most handsome, and the most intelligent children faced stiff penalties. Parents who refused were immediately put to death by hanging. Since there was no way to escape this recruitment, some Christians fled their villages to certain cities which enjoyed exemption from this tax. They also fled to Venetian-held territories to seek a safe haven, and this resulted in the depopulation of the countryside. Families often sent their children to hide in the mountains or in the homes of Turkish officials friendly to Greeks. Some children ran away on their own initiative, but when they found out their parents had been arrested and were being tortured, they quickly returned and surrendered themselves to the authorities. In some cases Greek parents would exchange their children for Turkish children. Since only Christian children could be recruited, this gave Turkish families the hope that their child would attain a successful career as either a Janissary or in civil service. 6 A few Christian families also saw this as an opportunity for their children, but vast majority resisted the theft of their offspring. The recruitment of children took place every three to four years and at times even annually, according to the needs of the Sultan. 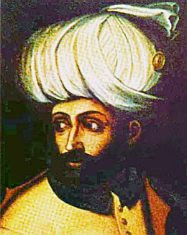 The largest loss of children coincided with the peak of Ottoman expansion in the fifteenth and sixteenth centuries under the rule of Selim I and Suleyman the Magnificent. This brutal abduction of Christian children continued into the seventeenth century, but it lost its importance. Occasional recruitment took place until the rebellion of 1705, and perhaps even later, but it had a lasting effect on the Christian population for many years beyond its time. 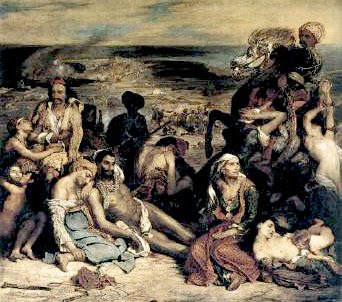 “Finally, though a final consideration of the total losses is impossible, there is no doubt that this heavy burden was one of the hardest tribulations of the Christian population.” 9 In time Muslim Turks were recruited in place of Christian children. Even after this institution ended, the anger continued to seethe, and eventually led to the revolution which gave Greece its independence in 1821. While most modern Turks would be appalled at this inhuman treatment of Christians today, it must not be forgotten or covered up out of political correctness. With the threat of the Islamization of Europe and the Americas, it is a lesson that must not be overlooked. Can history repeat itself? Yes, it can. And, unless Islam reforms, it will. Anestos Canelides has a master’s degree in history from Eastern Washington University, and lives in Arizona. 1 Papaloulia, Vasiliki. The Legacy of Jihad —The Impact of Devshirme on Greek Society. Prometheus Books. Aug 20 Are They Lying to Us? Baron, you write, "While most modern Turks would be appalled at this inhuman treatment of Christians today, it must not be forgotten or covered up out of political correctness. With the threat of the Islamization of Europe and the Americas, it is a lesson that must not be overlooked." You are way too excusing of Muslims and their attitudes. If given half the chance, Muslim Turks would start this again in a heartbeat. Want proof? Just look at the direction in which Turkey is being taken with Erdogan in charge: more Islam more of the time. And recent polls, confirming old polls, show that while most UK Muslims would not carry out suicide or other terrorist attacks themselves, they are highly sympathetic with those who do. Islam is evil through and through. Look more closely at the byline at the top of the piece: it was written by Anestos Canelides, and not me (and no, he's not a sock puppet). As I have often said, I like to post a variety of points of view and opinions here at Gates of Vienna. Any guests whose essays appear here are people with whom I am broad agreement, but I may not always agree precisely with everything they say. I don't quite see your point in this, but I'll let Mr. Canelides address the issue if he wants to. For future reference: you can tell that a particular piece is my own opinion when it appears solely under my byline, and is not part of a block quote or other quoted reference. In all other cases, it is the opinion of the author to whom it is credited. Indeed, the janissaries fought at Malta in 1565 as part of the force assembled by Suleyman the not-so-Magnificent. The Knights of St. John had a nasty surprise for these fellas though, as they charged St. Elmo's fort - fiery hoops, which they set alight & threw down on top of them. Never mind Johnny Cash, this was an actual ring of fire; the Janissaries couldn't escape, their Muslim garb, aka blankets wrapped around them so their dangly bits felt all fresh and breezy, caught fire and they were, as they say, up a certain creek without a paddle. And later, ironically, I have heard it asserted that it was descendents of the Janisarries who became the core of the "modern/western/secular" Turkish movement, and that Kemal Ataturk himself was thus of European heritage, not Turkish. Some interesting conjectures might be made there about certain genetic dispositions and the ethnic heritage of those now running Turkey, running it backwards into another Mohammedam totalitarian theocracy. For an example of what Devshirme did to people, check out the story of Hurshid Ahmed-Pasha, a notable Ottoman general from the early 1800s. Son of a Christian priest from the Caucasus, he became the ruthless suppressor of rebellions (Christian or otherwise) throughout the Empire. In 1809, his troops won a costly victory against the Serb insurgents near Nish. He ordered the Serb dead decapitated, stuffed their heads and sent them as trophies to the Sultan, and used the skulls to make a tower outside the town. The tower still stands. "If given half the chance, Muslim Turks would start this again in a heartbeat." I complete agree with this. But one doesn't have to see Erdogan in Turkey, just observe the Turks in Germany! It's NOt the govement, but the xcivilians that indicate what it's all about. In other words, the Turks don't need the gov. to tell them how to behave. When are the Turkish Muslims going to start issuing apologies and acknowledging their history of crimes against humanity? Since Islam was spread mainly by invasion and force, the irony is that most Muslim populations today, at least those conquered by Arabs and Turks are descended from ancestors who were slain or abused by the ideology/religion their unwitting descendants now embrace. Islam is an iron mantel. Once descended, it is not shrugged off by younger generations resentful of what was done to their forefathers. It's awfully annoying to read historical posts by people who not only don't know history but don't care to know it either. Nationalism and blind hate for anything different of foreign is what drives most of you to make these comments. Compared to you those Turks you are commenting negatively here are the epiphany of "lawful", "humane" and "modern". I see "Jelena" is imitating my style of trolling. Saudi Arabia is using a 21st Century form of Devshirme....Barack Obama bowed to the Saudi King for a reason: The Saudis run his administration, and have had TREMENDOUS influence in all administrations for decades. Our military and intelligence agencies have been taken from their Homeland and used by the Muslim Brotherhood/Saudis to establish the "United States of Islam"....and later the Caliphate. No Shoes for the Sweden Democrats! Are The Police Suffering from PMS? Found It: The Islamic Golden Age! Sweden: Banana Monarchy or Kretinostan? Mona Sahlin: The Next Prime Minister of Sweden? Gates of Vienna Makes the Grauniad! Rauf: Dialogue or “Ecumenical Blather”?